Caring for people suffering from dementia is always a challenge for family members and carers alike. Father, mother, grandmother: suddenly they can't remember a loved one any more and feel unsure about their environment. That's when a professional, devoted and well-structured program of care is extremely important. We have the special conditions needed to support them and help them live their life free from fear and with confidence. Our attitude towards EMH, dementia care is always to try to secure a quality of life for each individual resident based on what they are able to achieve on a day-to-day basis. Instead of focusing on the limitations of memory loss, our team of qualified and experienced staff strive to emphasise and work with what residents are able to do and the activities that they can enjoy. Memory loss and confusion can sometimes be upsetting for residents so all staff members are encouraged to offer residents support in the care that they offer. It is specialist care that makes us unique. The facilities, services and support offered by Orchard Care Group enable our residents to enjoy a comfortable life where they remain in control, even in old age. A pleasant living atmosphere requires not only a sense of happiness and well-being but also effective care and support when it is needed. Our rooms are presented to a luxurious standard. They can also be arranged to suit personal tastes with the residents own furniture, decorations and mementos. Most of our rooms are equipped with TV and telephone, and with their own ensuite wash basin and toilet. Our residents receive the individual care they request and need when it comes to meals, cultural activities and all-round care. All this is provided by dedicated professional carers. Long-term placement always undertake a thorough assessment of the potential resident’s needs. We can accept residents at reasonably short notice providing this assessment is carried out. Assessing a prospective resident is essential to make sure we can accommodate and care for any needs in the very best possible way. 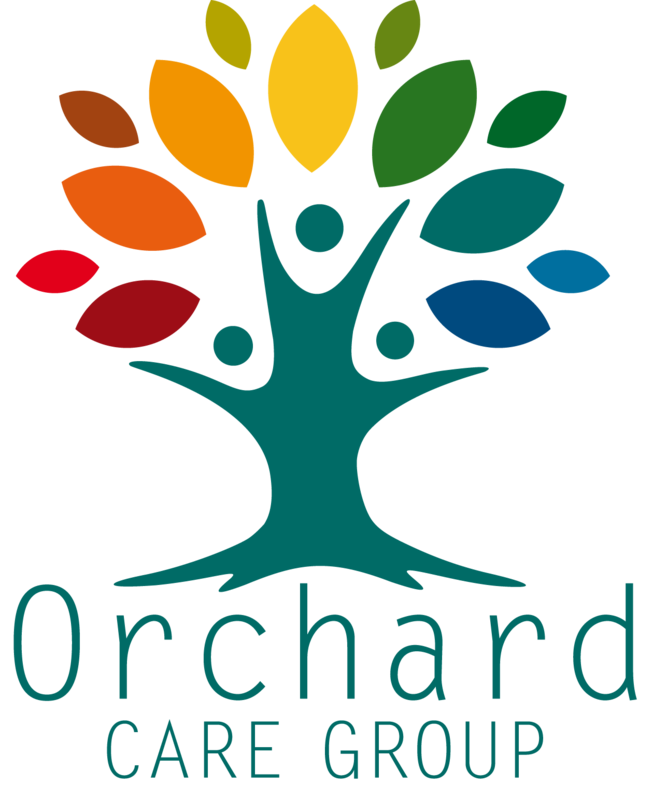 Orchard Care Group provides care for different levels of needs including more complex needs which would come under the old term EMH. This would be residents with more advanced Alzheimer's, Parkinson’s disease, memory loss and other dementias. When Family or carers are away from home or unwell, we can offer full loving care for your relative even for any required length of time. What happens to your beloved relative when your family is away, the carer is unwell or when it is not possible to look after him or her for a short period of time for some other reason? An ideal solution is short-term residential care. This means that your relative receives the same loving and professional care as our permanent residents and can feel safe and supported in his or her own personal space. All-round care in familiar surroundings: home help can remove the burden from a relative without the need for permanent residential care. A permanent stay in our care home is not always required when a relative needs care and assistance. Day-time part-residential care allows us to relieve the stress from those providing care while allowing the elderly person to remain in familiar surroundings.